Pickford Film Center is expanding K-12 education initiatives by continuing to create new programs that serve our community, and build a new audience of future filmgoers. We are grateful for the generosity of individuals and foundations, whose support makes these programs possible. 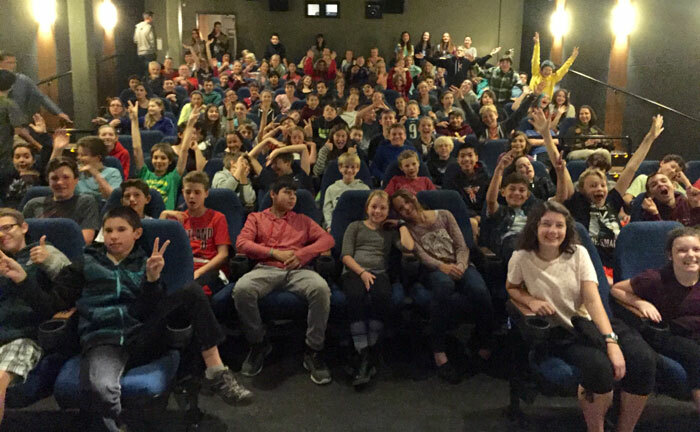 In October 2014 in conjunction with our annual Doctober film festival, Pickford Film Center started Doc-ED, a program which now provides the entire Bellingham public middle school population (2,400 students) with educational documentary film screenings at no cost to their schools or guardians. well as parent, teacher, and community groups. The Guerilla Film Project, a popular three-day film-making competition for high school students has been offered every year over President’s Day Weekend for the last 11 years. PFC hosts the Bellingham Children’s Film Festival in March, which features family-friendly films as well as special school screenings, related art projects and an ice cream social. PFC also offers special screenings of National Theatre Live and Shakespeare’s Globe On Screen plays to high school and university classes, and the cinema is available to schools for field trip rentals year-round. For additional information about educational programming, please contact Education Outreach Coordinator, Lucas Holtgeerts.